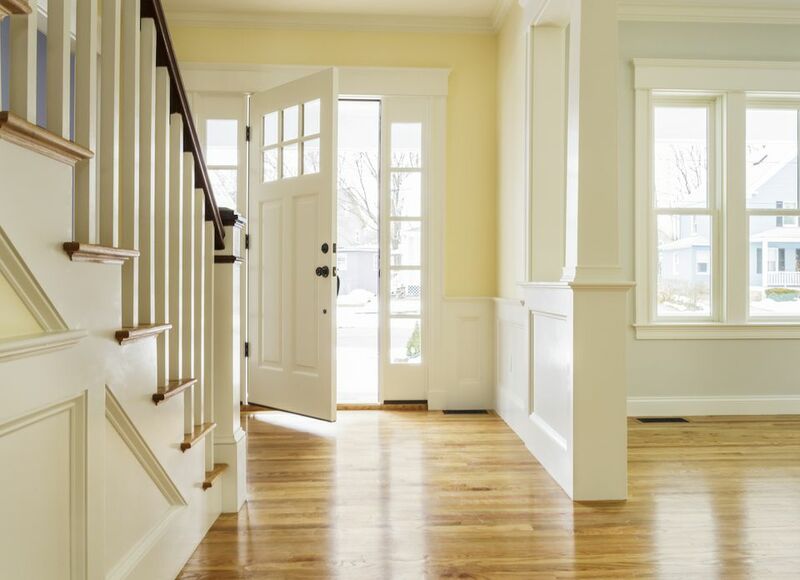 Is a Staircase Facing the Front Door Bad Feng Shui? When a staircase is facing the main door directly, the feng shui energy rushes up quickly to either the lower, or the higher floor, thus leaving the main floor without feng shui energy nourishment. The main door is called "The Mouth of Chi" in feng shui, as this is how the house absorbs its much needed Chi, or energy nourishment. When a staircase is facing the front door directly, the feng shui energy rushes up quickly to either the lower or the higher floor, thus leaving the main entry, as well as the whole main floor without good feng shui energy nourishment. However, this is a very general feng shui statement as there are different variations of a staircase facing the front door, thus creating different feng shui scenarios. The feng shui case of a big foyer with many grounding architectural features and the staircase far from the front door will be very different from a feng shui case of a small foyer with stairs closely facing the main door. In the case of a big foyer with a staircase further from the door, the energy can settle in and nourish the space, gradually and harmoniously finding its way to other areas of the house. When the foyer is small, though, and the staircase is facing the main door directly, the energy takes a rushed and fragmented quality, being forced to quickly rush up or down the stairs. The feng shui cures will be specific for each space, and if your floor plan has a staircase too close to the main door, it is always wise to seek the advice of a professional feng shui consultant who will chart the flow of energy and give you helpful recommendations to improve the flow of Chi. To summarize, the staircase facing the main door presents a similar feng shui challenge to a backdoor aligned with the main door (direct door alignment). In both cases, the Chi is forced to leave the space quickly and is not given the opportunity to settle in and harmoniously nourish your home.